Corporate social responsibility has been ingrained in BMMI’s DNA since the very beginning. Backed by Senior Leadership and the Board of Directors, CSR at BMMI has evolved into a very natural way of doing things over the years. In 2011, the Group’s commitment to sustainability evolved into a more strategic approach, with a simple mission statement: being socially responsible and making a difference to its people, its community and its environment, wherever the organization operates. 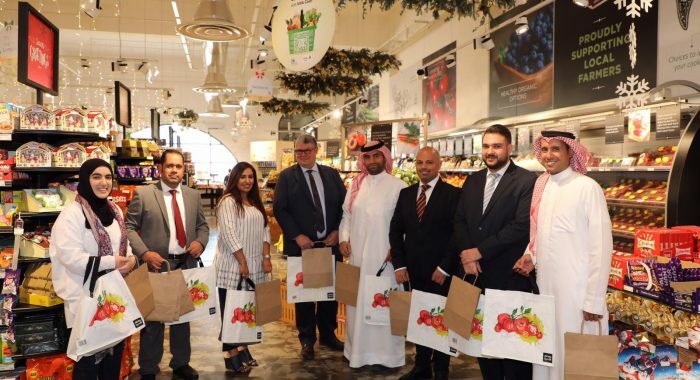 Spearheaded by BMMI’s Head of Corporate Communications and Marketing, Yasmin Mohamed, the Group’s ‘Think Local’ CSR initiative was launched and continues to thrive today. 2014 saw BMMI take steps to work towards a post Millennium Development Goals agenda in contributing to the Sustainable Development Goals (SDGs) that align with the Group’s core business. With a heavy involvement in the food industry, the organisation has always seen itself as a company that nourishes the lives of its employees, customers, and the communities in which it operates. Following an extensive stakeholder engagement exercise, BMMI launched its sustainability policy, Nourishing Life with three interconnected pillars: Zero-Waste, Truth & Wellbeing. While corporate citizenship is not a new concept at BMMI, the team recognises that as with any worthy endeavor, sustainability will be an on-going and continuously evolving journey. This is exactly why the Group has always aimed to foster a progressive environment to make it a great place to work. From training and development, emergency financial assistance, equality, to a flexible working environment. BMMI continues to constantly review its CSR initiatives and to seek new partnerships. From supporting individuals with disabilities to gain transferable job skills through the Employment Faciliation Training Service (EFTS) programme, to a focus on food waste reduction through continued collaboration with Conserving Bounties – BMMI has strategized the way it supports communities, the environment and its people. In line with its corporate value of ‘Honesty’, BMMI continues to regularly and transparently communicate its CSR aligned initiatives through various channels, including the Communication on Progress as part of its commitment to the UN Global Compact. In these publications, BMMI describes actions taken in the areas of Human Rights, Labour, Environment and Anti-Corruption to continually improve the integration of the Global Compact and its principles into its business strategy, culture and daily operations. Building on its social impact journey, the Group’s 2020 goal is to have CSR and sustainability truly embedded across its operations and at the core of its different departments. BMMI aims to drive its triple bottom line, contributing to sustainable development and enriching society and the planet through its business.